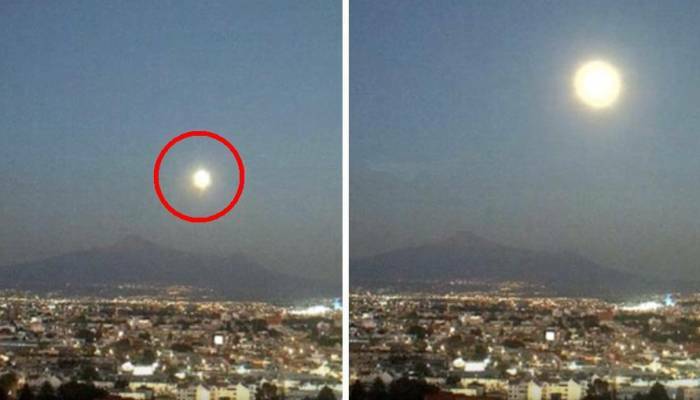 A strange event occurred near Mexican volcano Iztaccihuatl. 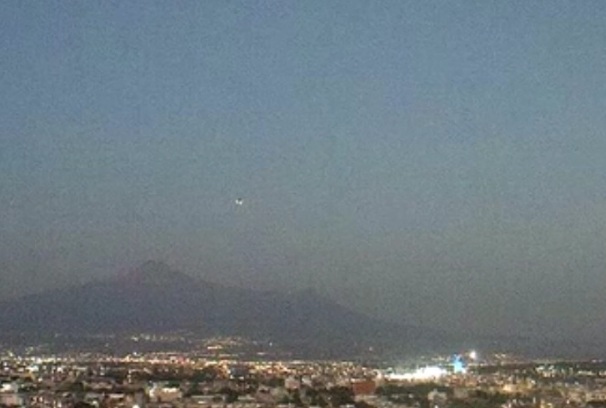 Web camera mounted with view of the volcano, January 24, 2017 recorded the appearance of UFOs, which in only 1 second covered the distance from the volcano, to the place where the camera is installed. This volcano is considered extinct, although when you view the archive of a web camera, you can see that from the crater of the volcano periodically break out the smoke. The UFO appeared on the horizon because of the volcano. At the time of the occurrence, clearly shows that it is a flying object with two light sources below the hull. Then a UFO picks up speed and turns into a huge fireball flying in one second all visible distance and disappearing beyond the frame. The event is really intriguing and extraordinary. It’s definitely not a meteorite, because the increase is clearly visible, the dark shape of the object, having the bottom two bright light source. The object flies an impressive distance in just seconds and it is not a planet and not the Sun. 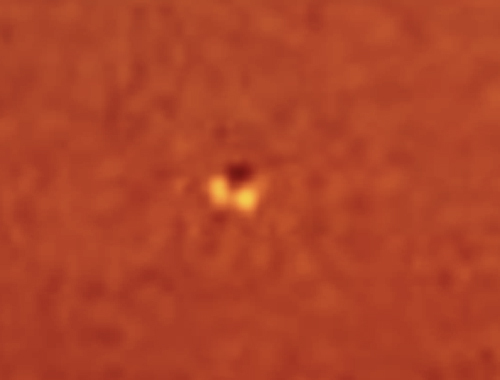 Looking through the archive of the webcam, you can see the Sun from this angle, it always appears to the right outside the frame. No similar object for all previous days are available in the archive – no, no, no flying objects. The object has a shape and a color, change the brightness of lights and flying very quickly. The only earthly explanation for the plane, but there are questions concerning the speed of flight, as well as the brightness of the light source, converting the object to a shining ball. In addition, on the last frame, you can see that the object has nothing to do with the plane. In addition, one should note that in the archive of the webcam, this period of time, the time of flight of this UFO is missing. The object in the live mode, appeared in 18.46.31 and out of sight of the camera in 18.47.24. In the archive of the webcam for the day, available only 18.46 frames and the next frame is 18.48. Thus, there are no personnel exactly where there was this UFO. Yeah, looking through the archive, you can see that all frames available in the archive, go with the same period of time, but agree that would be a flight of a UFO is horrible in those shots that are not recorded in the archive, it’s a very strange coincidence. What is flying over the Mexican volcano Iztaccihuatl – just impossible to say. sufficient actual data, but I want to note an unusual coincidence – that on January 24 in the U.S. state of California, local residents were frightened by strange sounds, the source of which was undetermined. I believe that in California, there was a manifestation of the growing activity of tectonic plates, but such a coincidence of strange events, are quite interesting. I tried to find eyewitnesses of the flight of the object. 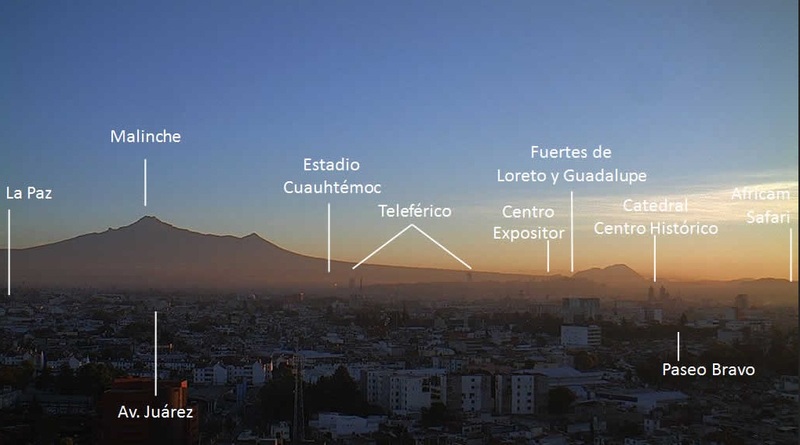 He flew over the very center of densely populated cities – Mexico city. And it happened not at night, and in the evening, when the streets of many people. But the witnesses who watched the flight of the object, I have not found. On this basis, suggests the following conclusion – a huge fireball, the object was precisely on this webcam because his flight coincided with the sunset and the bright light coming from the horizon to the right and created from the object, shining ball of fire, which is not visible to the exact geometric structure of the object. But it is visible in the early appearance of the object over the volcano, black body with two bright lights at the bottom. The exact answer to the question – what exactly captured camera at the moment to give I can’t. Perhaps it is the earthly or cosmic origin of the object, but there remains a large proportion of the probability that the object is anomalous or extraterrestrial origin. The volcano Iztaccihuatl volcano in the Mexican highlands, the height 5286 m. the Snow on top never coming down, this gave rise to the name: “Iztaccihuatl” is translated from Nahuatl means “White woman.” For ease of pronunciation mountain, often called just the East. Next to it is another volcano, Popocatepetl. Iztaccihuatl is located in the South-East, 70 kilometers from Mexico city. At East four peaks, in shape similar to the head, chest, knees and feet of a sleeping woman. 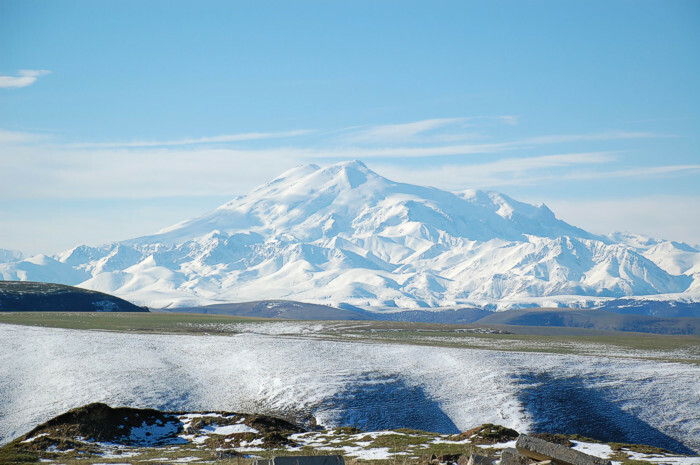 The highest of the peaks – Pico rises to 5230 meters above sea level. Previous story What does it feel like withdrawing from life?